Set in 1955 London, Reynolds Woodcock is a dressmaker to those rich enough and famous enough to afford his services. The confirmed bachelor (played by Daniel Day-Lewis) lives with his spinster sister Cyril (Lesley Manville). 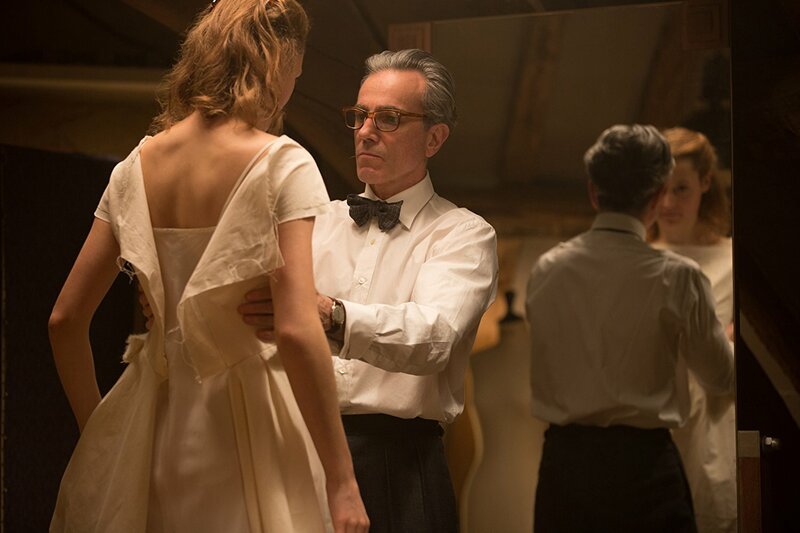 Phantom Thread explores the relationships between these siblings and Woodcock’s new muse, Alma (Vicky Krieps), whose figure catches his eye in a seaside café and is soon given a seat at his breakfast table. However, unlike his previous friends with whom he has become irritated and bored before dismissing them from his presence, Alma has more of a backbone and stands up to the fastidious whims and fancies that rule her boss’s life. The action switches between a tall London residence whose loft is the scene of fervent sewing by a phalanx of white coat-wearing women and Woodcock’s more relaxed country house where he has time to sew alone. Mark Bridges’ costume designs are to the fore and the dresses are given prominence whether being worn by mannequins or customers, standing out against the more dowdy and dilapidated buildings they are created in. At times the 35mm filming left an on-screen graininess that was momentarily distracting in some scenes. Wedding dresses, wedding superstitions, body image and Woodcock’s deceased mother are ever present throughout the film. So too are the eponymous hidden messages sewn inside the hem or lining of garments. 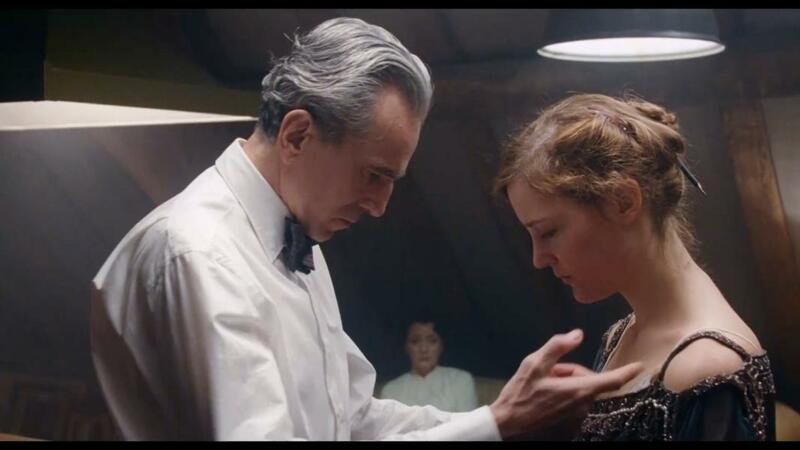 Daniel Day-Lewis has mastered the very specific style of dialogue supplied by Anderson who has written for a character who speaks sporadically and curtly, pausing after ever few syllables and striking a good balance between confrontation-phobic artisan and irascible bachelor. 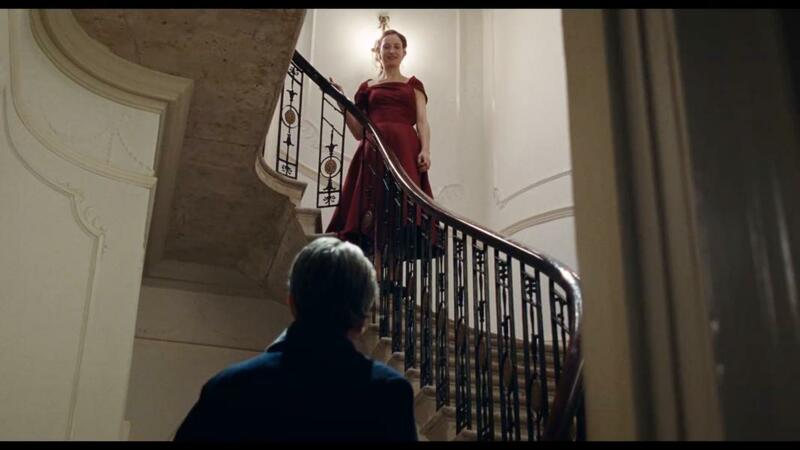 Vicky Krieps is poised and demure as she portrays a character who is innocent yet rarely vulnerable. A pivotal show-down while eating sharp-looking asparagus tips turns into a verbal sword-fight with Krieps gently adding a calm sinister streak to Alma’s character as she becomes more calculating in her manipulation of Woodcock. In-between the master and his muse sits Lesley Manville’s Cyril, played with a brilliant older sisterliness that both challenges and covers up the worst excesses of his eccentricity. 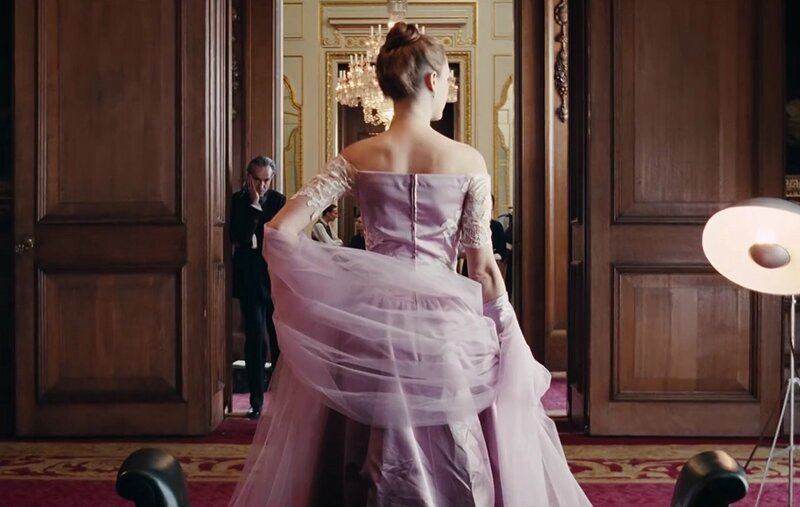 Like My Cousin Rachel and Love & Friendship, Phantom Thread is yet another example of a period film that overcame my default dislike of such productions. While there’s a risk that pins and needles will set in given the 130 minute run time, the story’s gentle twists and turns held my attention, in particular the triangle of tension that started every day around the breakfast table and continued until bedtime. 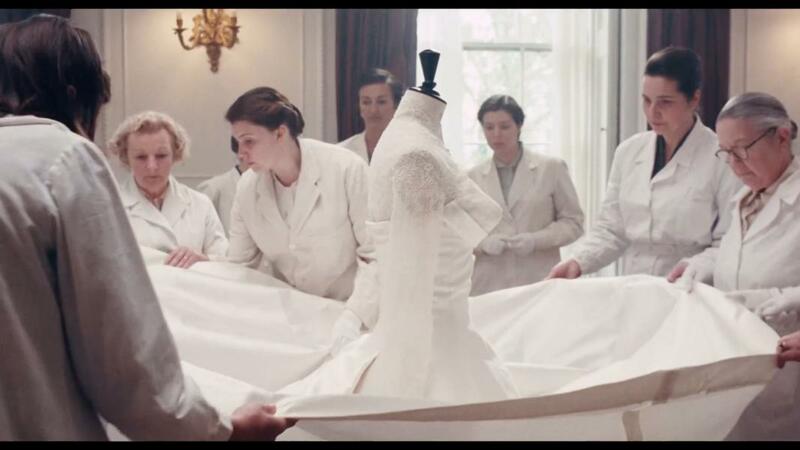 A film as fine as the clothes its stars create. Phantom Thread is released in the UK on 2 February and being screened in Movie House Cinemas and Queen’s Film Theatre.